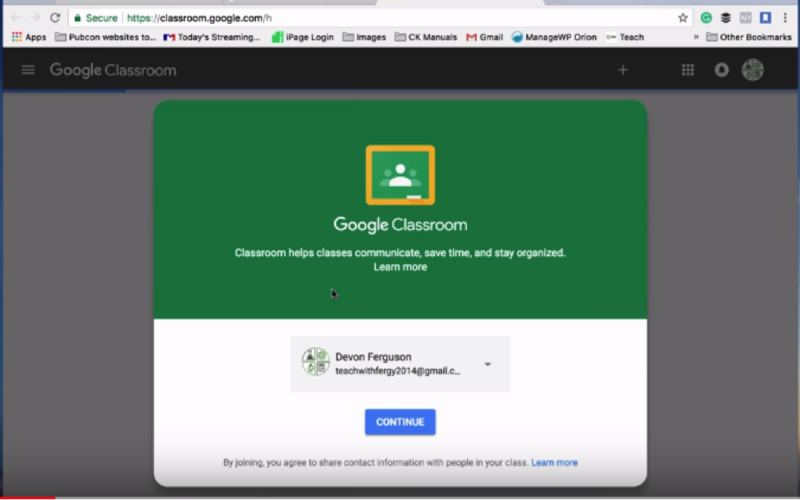 Are you interested in using Google Classroom? You should, once you get over the small learning curve, it’s great. 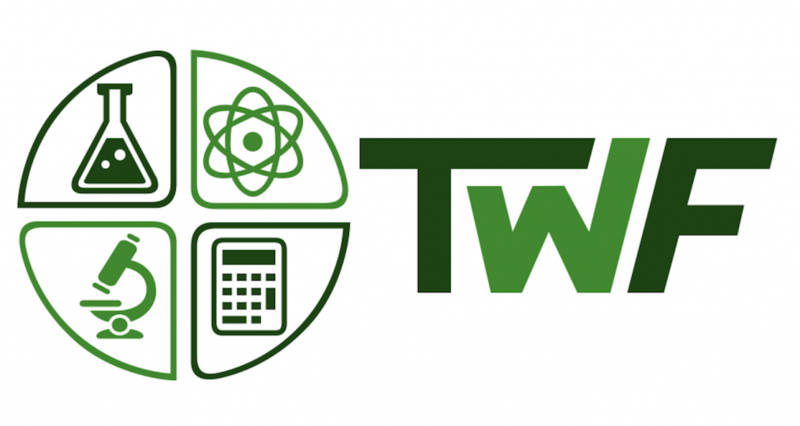 Super easy for you, no problem for your students, and certainly the way education is moving. I created a short walkthrough video below that outlines the process. 2) Click the set of 9 boxes in the top right. 3) Choose Classroom. This may not be part of the first set. If it is not, scroll down the dropdown set until you see it. 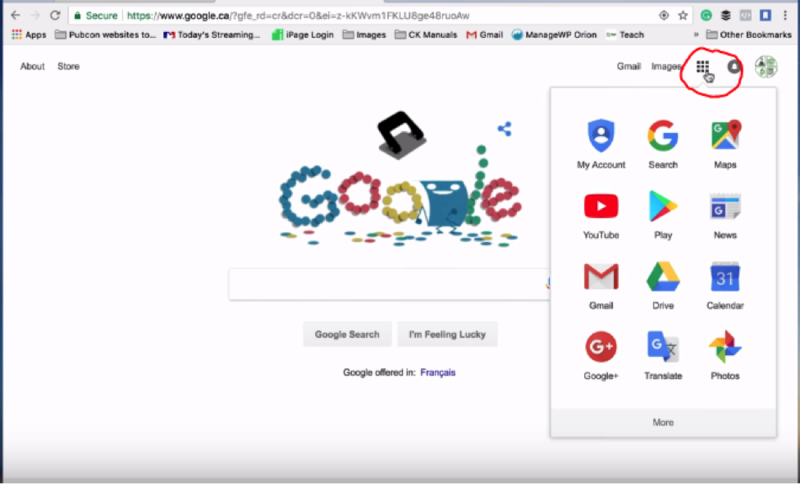 4) If it’s not there, click “Even more from Google” at the bottom of the dropdown. 5) Scroll down until you find it. It’s pretty far down. 6) This is the screen you will get if you are signed in. 8) That will bring you to this page. 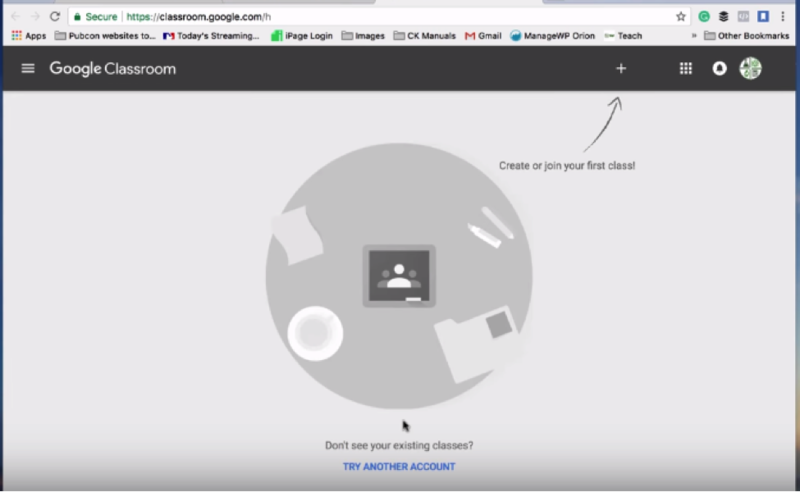 9) Click the plus sign in the top right and choose “Create class”. 10) Acknowledge the notice and click “Continue”. 11) Give your class a name. You may choose to input your section and subject as well, but these are optional. 13) That will take you to this screen. 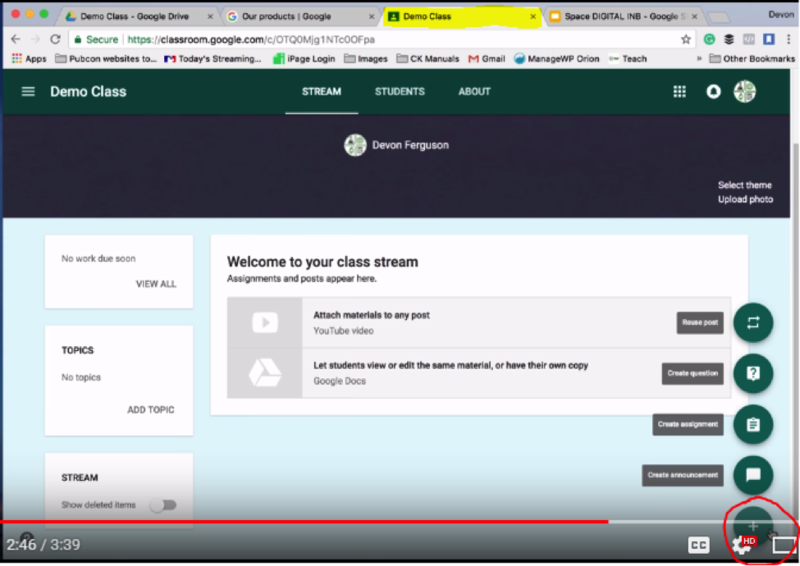 14) Click “Students” in the top middle. 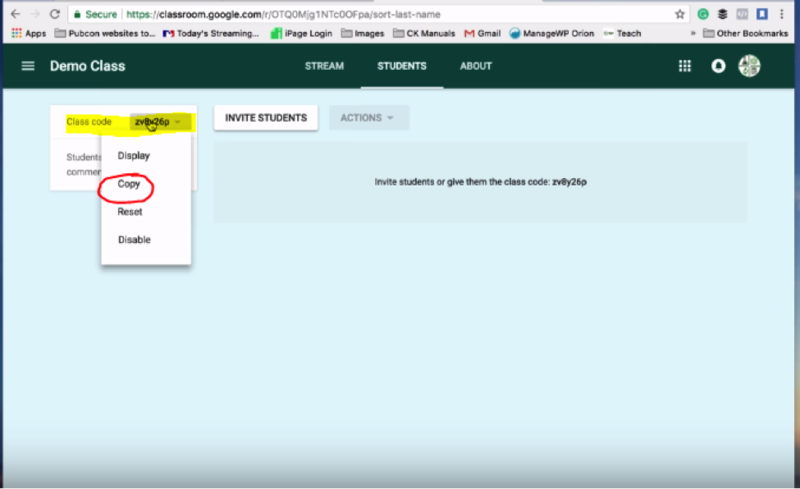 15) To share with your students, click on the “Class code” and click “Copy” from the dropdown menu. You can put this code up on the board or show it to students and they can access the classroom easily. 16) Go back to “Stream”. 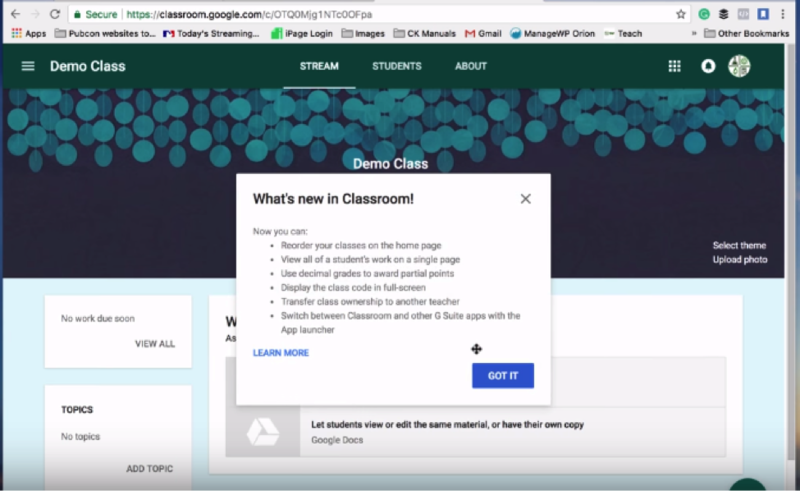 17) Open a new tab and go to the link you received for the Digital Interactive Notebook. 18) Click “Make a copy”. 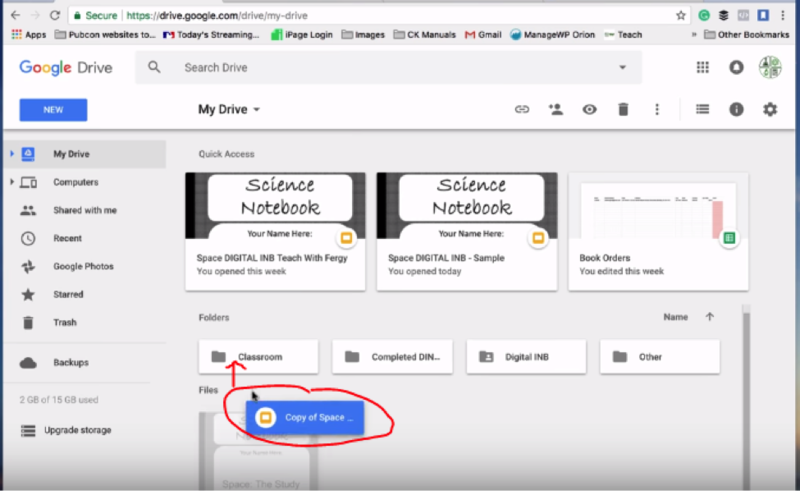 19) This automatically places the copy into your Google Drive. 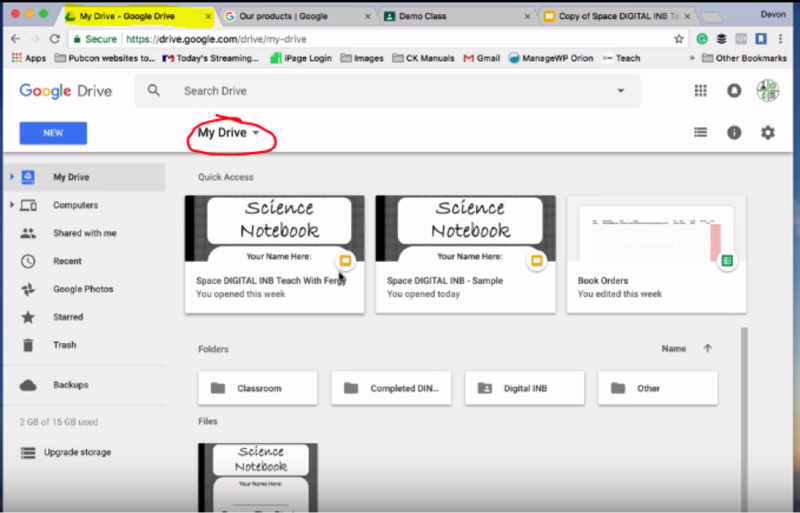 20) Go to “My Drive”. 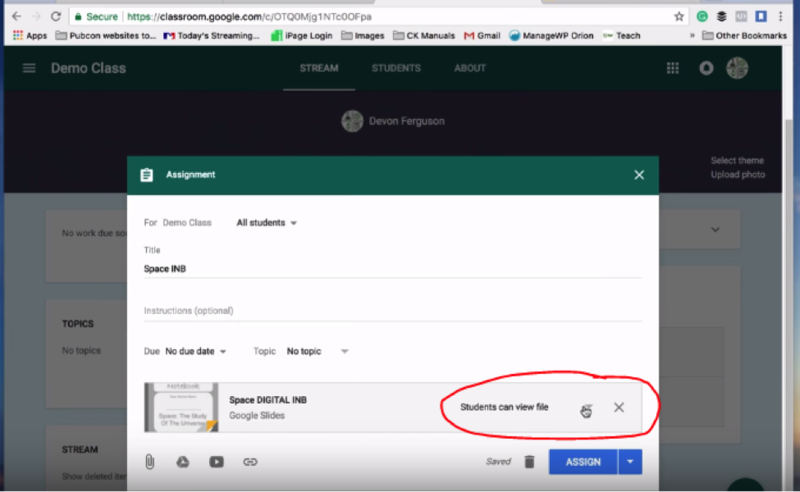 21) Drag the file into your “Classroom” folder. 22) Open the “Classroom” folder. 23) Drag the file into the class you made in Step 12. 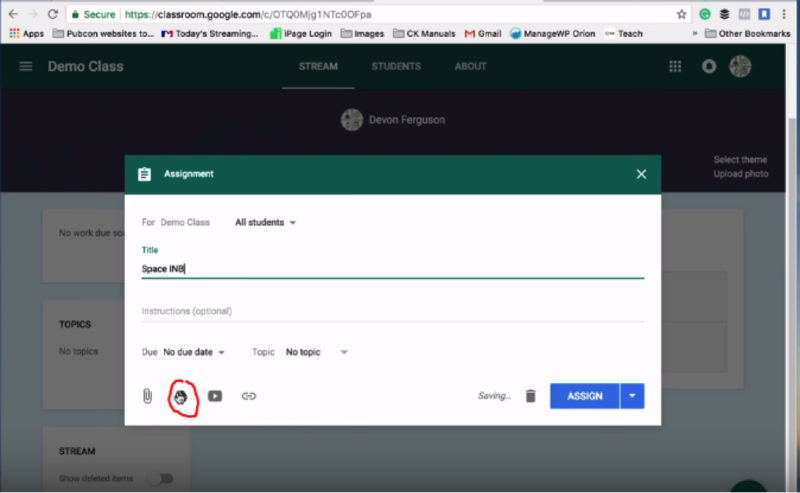 Subsequent classes that you create will appear alongside this first class within the “Classroom” folder. 24) Click “OK” to share the notebook within the folder. 26) Right-click the file and choose “Rename”. 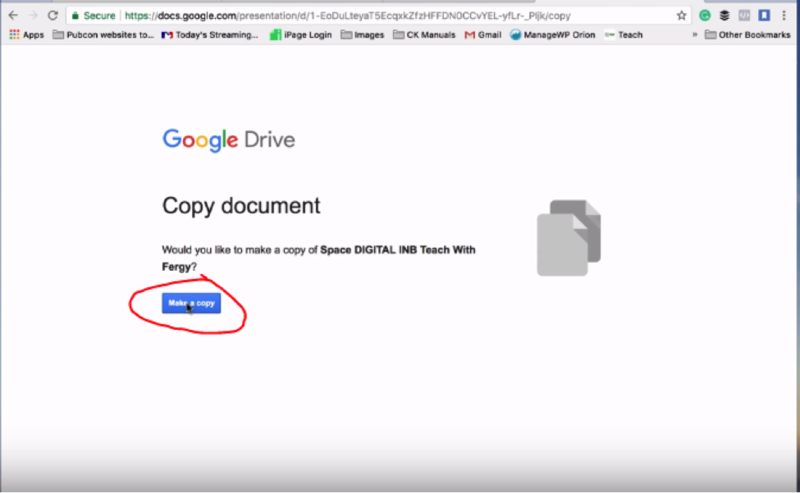 27) Delete “Copy of” and “Teach With Fergy” from the name, if you wish. 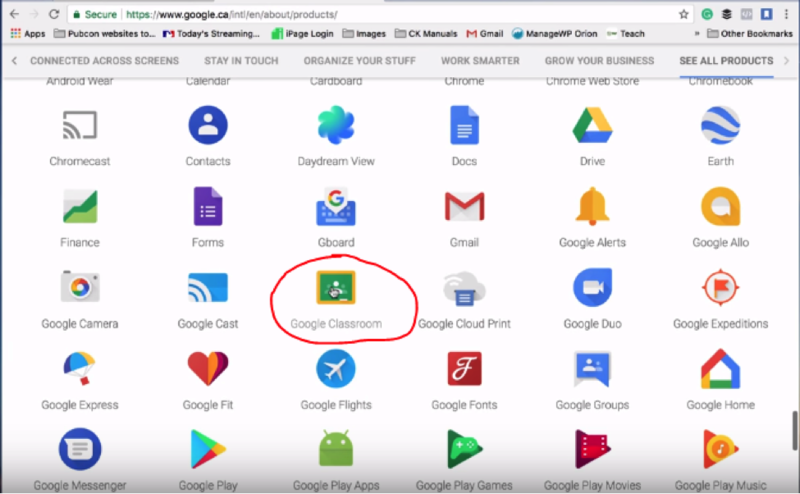 29) Return to your Google Classroom tab and hover over the plus sign at the bottom right. 31) Give it a title. 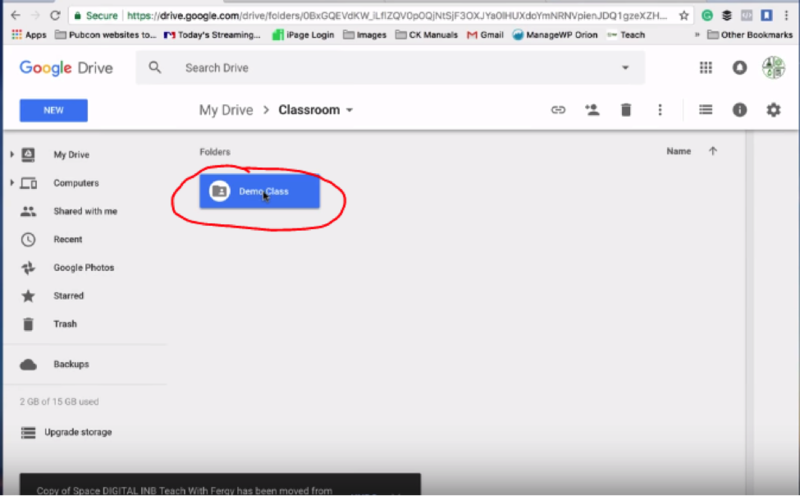 32) Click the Google Drive logo at the bottom of the box. 33) Choose the INB file. 34) Acknowledge the message about sharing settings. 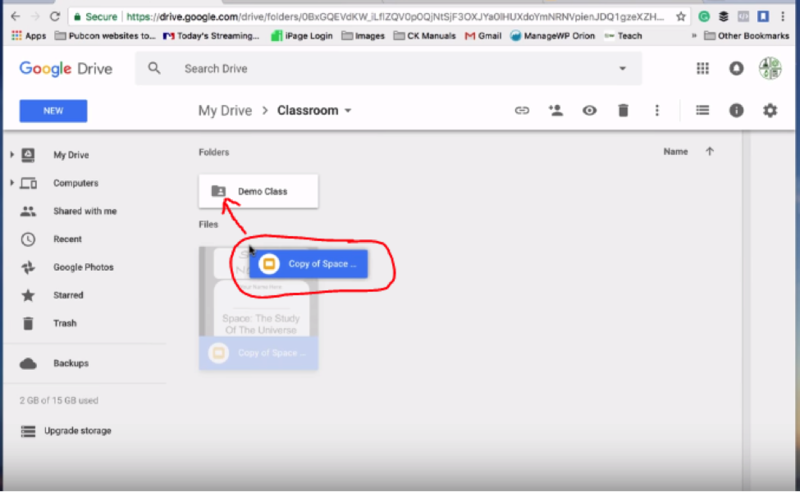 35) Click on the dropdown arrow next to “Students can view file”. 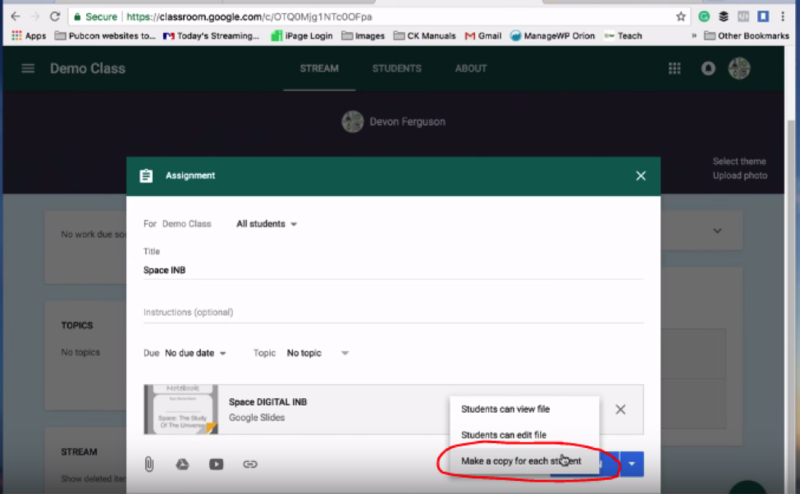 36) Change the option to “Make a copy for each student”. 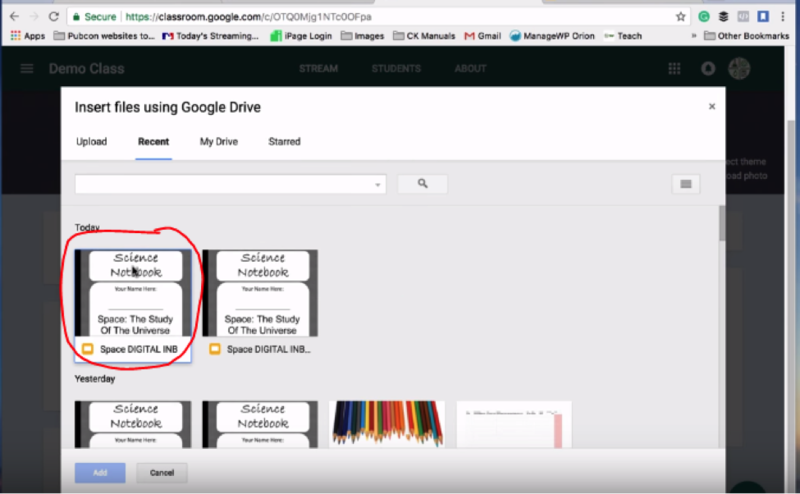 38) Each student will get a copy of the assignment in their Google Drive. When they complete the assignment, they will submit the final product. 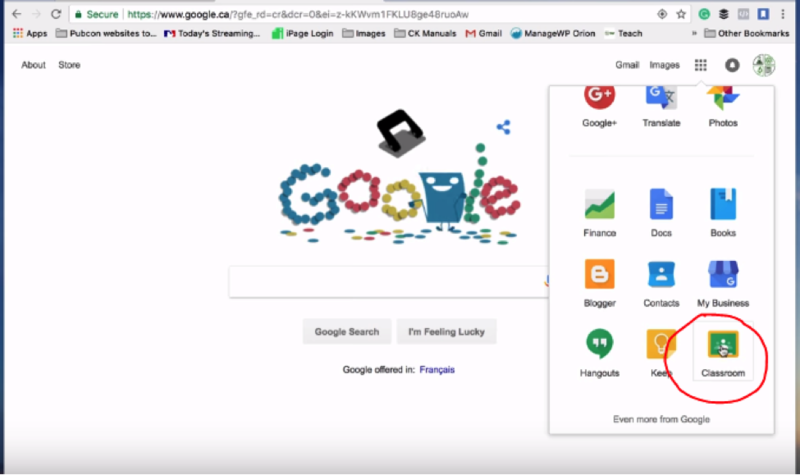 You can monitor their work, including keystrokes and effort put in.